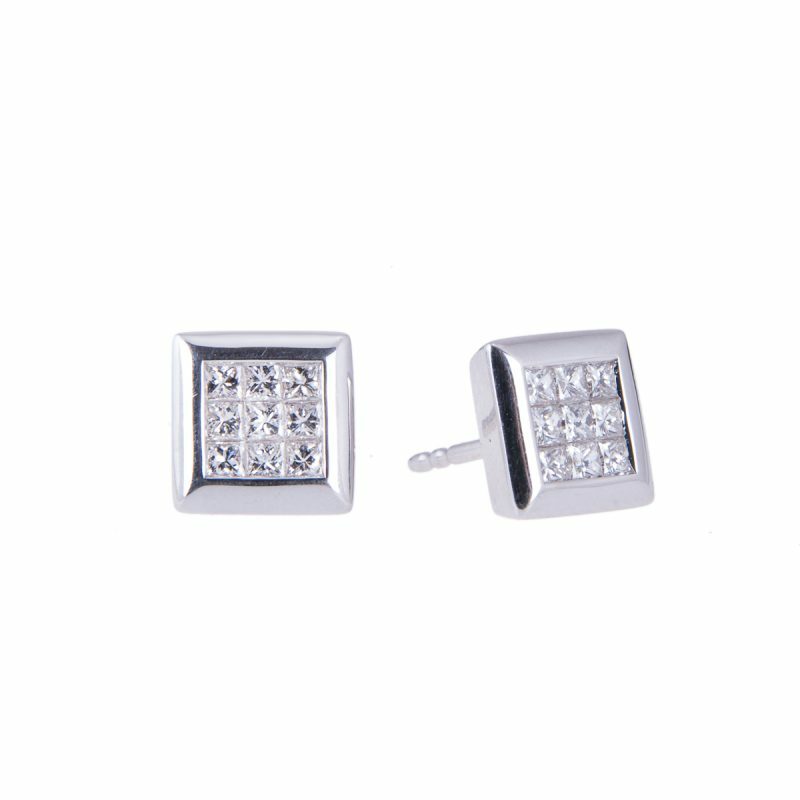 Night time, day time, any time, these earrings will always be the perfect choice. 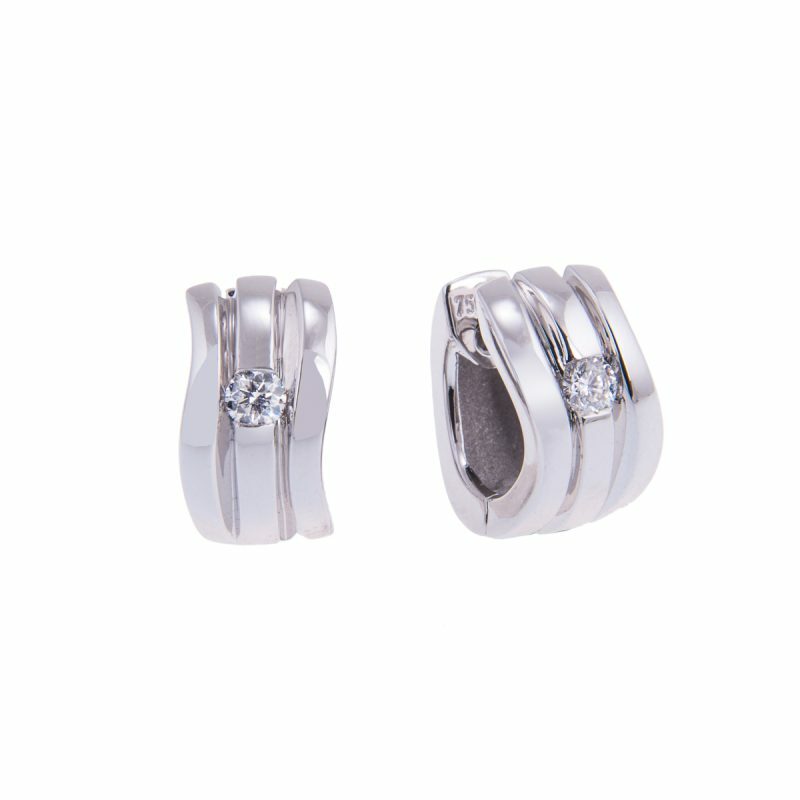 Three waves of polished 18ct white gold, each earring set with a single brilliant cut diamond. 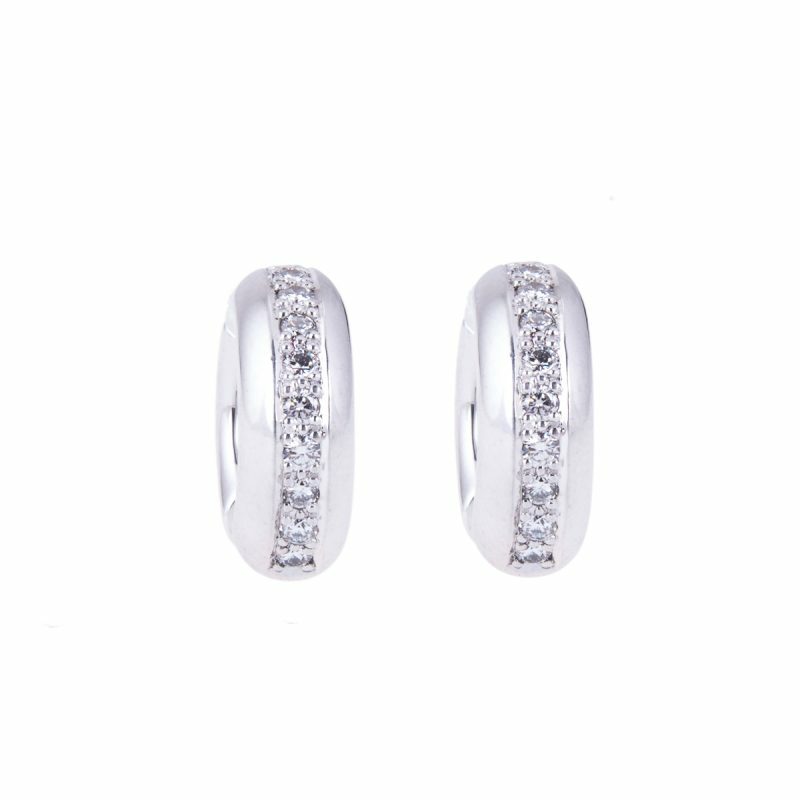 Wear, sparkle and enjoy. The round brilliant is the most versatile of cuts, with more fire and brilliance than any other shape, admired as much for its beauty as for its stunning optics.